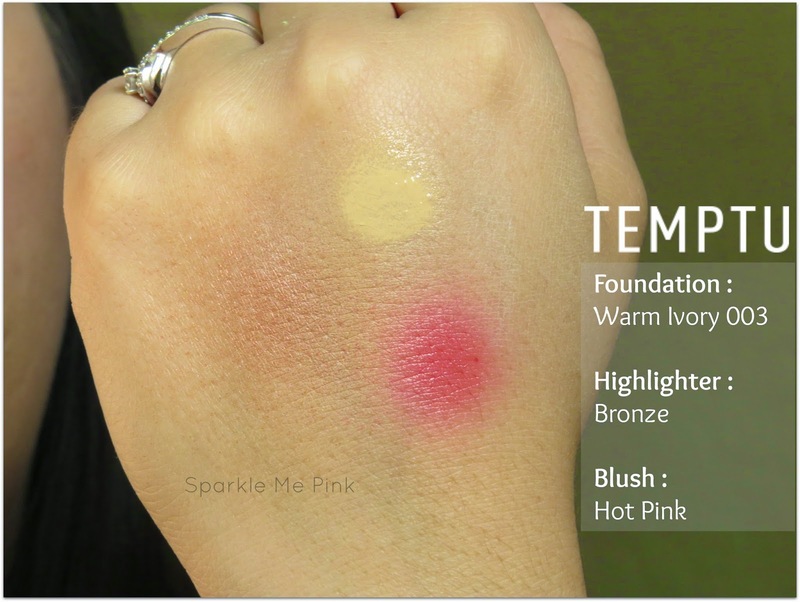 Sparkle Me Pink: TEMPTU AIRbrush Makeup : Everything You NEED to Know - Detailed Pictures + Video Tutorial ! I was sent this airbrush system as a promotional item in return for my 100% honest opinion. This is not a sponsored post, meaning I was not paid to create this post or video. 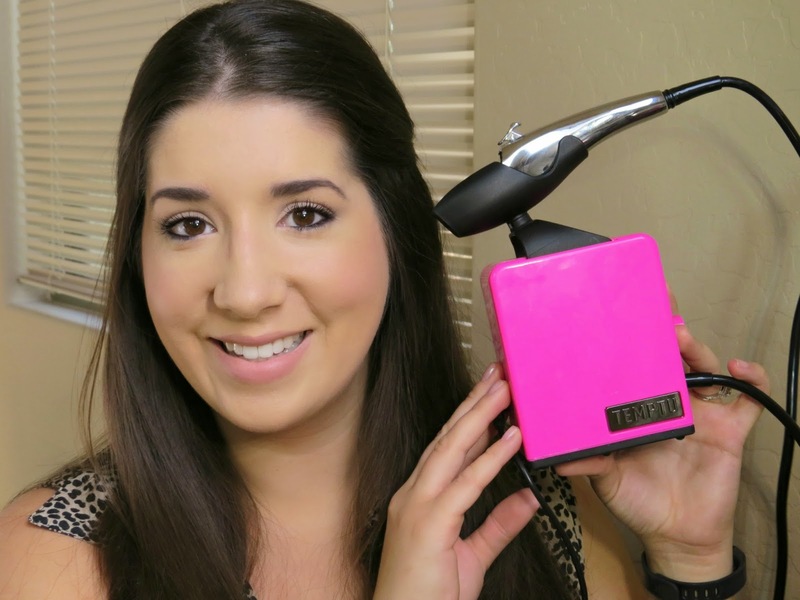 I have always wanted to try airbrush makeup. I remember as a teen seeing these girls on TV and movies with seemingly perfect skin. I would sped hours at the library researching how they did it, how to do it to my self. More than half the time I found out that their makeup was done using airbrush makeup. However, at that time (late 90's - early 2000) there weren't any companies who offered at home systems or at least none that I knew of. So a few months ago when I saw that there was a brand that offered an affordable at home airbrush makeup set, I knew I had to try it !! What you are seeing here is the TEMPTU Signature Starter Kit. The Signature Starter Kit comes with everything you need to get started doing airbrush makeup. The compressor, wand and three color pods. One foundation, one blush and one highlighter. How awesome is it that my AIRcompressor is Pink ?! Initial set up of the unit is super easy. All I had to do was plug one end of the power cord into wall and the other into the back of the compressor. Then I connected the tubular air hose from the front of the compressor to the wand. And you are done. It is very important to shake your AIRpods well before each use ! 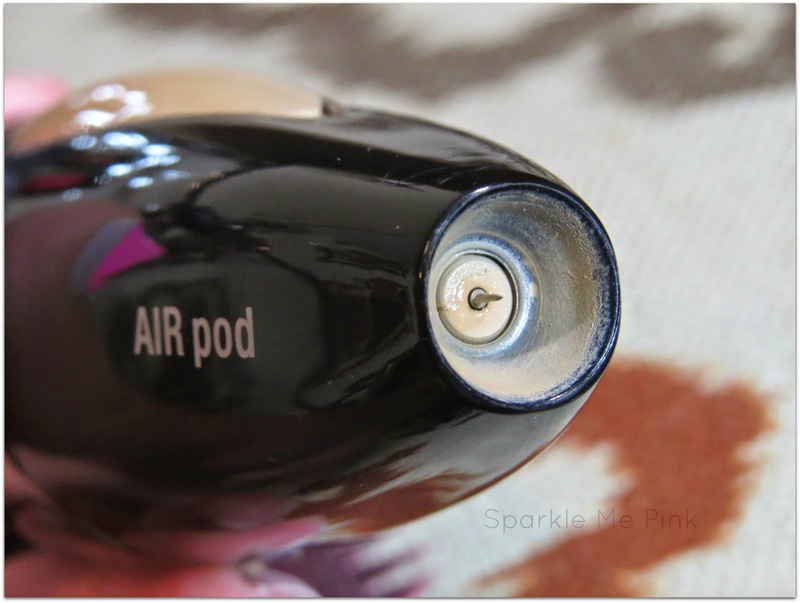 My very mucky foundation AIRpod tip. To clean this area just wipe an alcohol soaked cotton swap around this area. 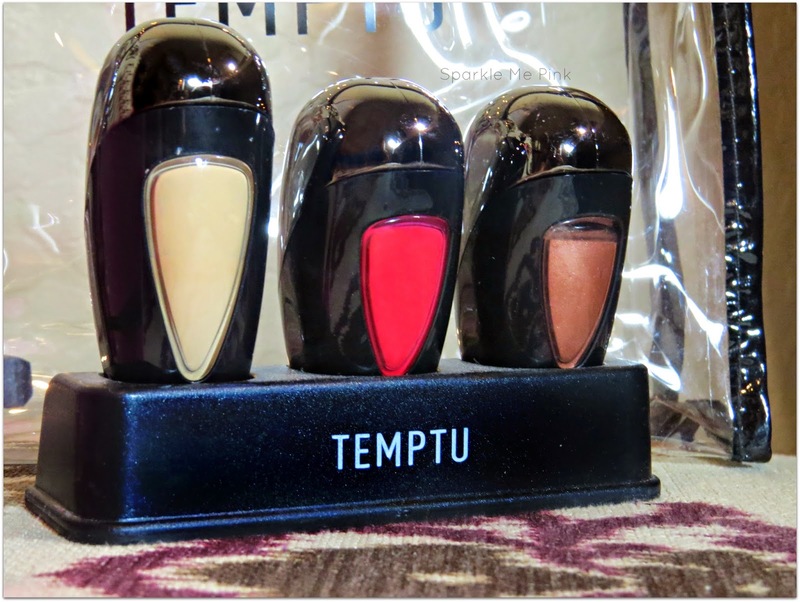 As for the makeup itself, TEMPTU products are oil-free, non-comedogenic, and hypoallergenic. They are also transfer proof, sweat proof and ultimately waterproof. 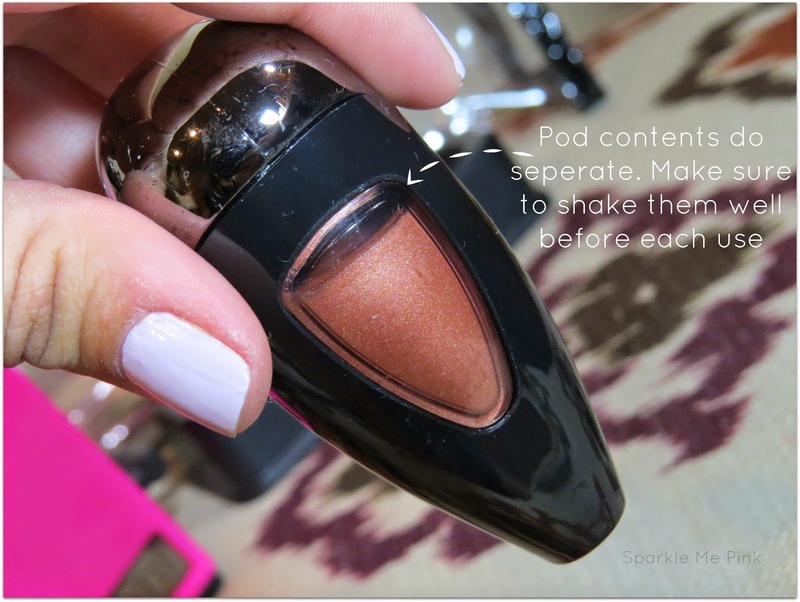 This system is great for those who attend large events regularly ( this would make for amazing wedding / bridal party makeup !! ) or heck even if you just tired of your makeup siding every where halfway through the day. Once this makeup is applied and set on your face it is not going anywhere! I have gone to wash this off and have needed to go back with makeup remover solution to help lift it all off.One thing to keep in mind is that TEMPTU products do not have any SPF coverage. But they are a cruelty free and gluten free company. While not the most flattering picture of myself. This totally unedited picture shows you just how gorgeous and natural this makeup looks on the skin. Yes you can still see my 3D breakouts but there is no makeup on this planet that can help that. P.S. Looking at my face this close up...Dude I think I am getting some wrinkles !! ahh I blame it on my children since I am only in my 20's haha !! Final Verdict : I am super impressed with my TEMPTU airbrush system. I really love the formula of this makeup. It just diffuses and almost melts into my skin effortlessly, leaving behind beautiful and even coverage. 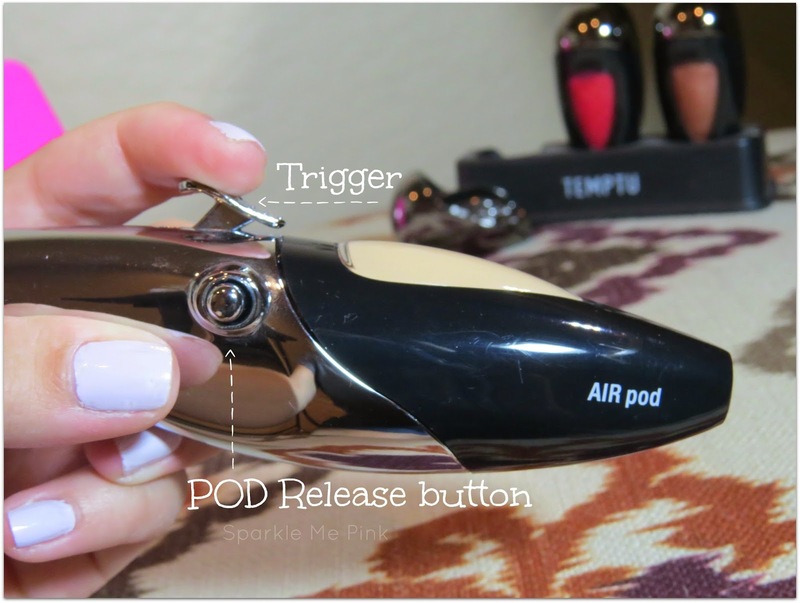 Follow Sparkle Me Pink's board SMP : Beauty Reviews on Pinterest. Get a FREE S/B Blush & Highlighter sample duo with any purchase of $100 or more, while supplies last. No offer code needed. Offer valid 6/24/14 - 6/30/14 at 11:59 PM ET. I have always been interested in air brush makeup myself! Very detailed post, I love all of the pictures you posted, and the step by steps. I may have to give it a try soon, i bet my husband would love it! Wow I have never tried airbrush makeup but have seen it before and it is so cool. I love that this is easy to set up! I tried temptu at Generation Beauty, and the girl did my makeup SO badly! I'm kind of weary about buying a kit because of how bad it was! OH NO !! you totally have to give it another try ! That is the coolest tool!!! I love how it makes your face look like you got your makeup done professionally! I love this!!! I was gonna buy one, because I had it done, and it looked really good, but I was afraid that it would be hard for me to do it... thanks for showing me that it is pretty easy!! And I love the finish it gives off on you, very pretty!! I've had airbrush makeup put on me and I LOVED how it looked. This would be awesome to try at home on myself. I freaking love my Temptu!!! I'm jealous that you have a pink one!! This is awesome!! Your skin looks flawless! This looks amazing! I really want to try airbrushing! Oh this is so awesome! I just love how it looks and I loved seeing the video - it really helps see how easy it is to apply. Hello flawless!!! What an awesome product! I need to try this stat for our family pictures next month! I have one of these and love it. I love the blush color it is so pretty! This is so awesome, so glad there is a system available to the regular consumer, yay!